The surgical steel shaft is 10mm (3/8") in length.. 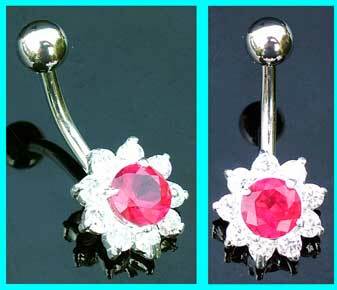 The small flower measures 14mm, with a round rose centre stone surrounded by nine smaller clear jewels. The best eCommerce software by ShopFactory powers P11851. All-in one eCommerce and shopping cart software.